What is Big Beat Ignition? This new series from Big Beat highlights a selection of regionally relevant electronic and dance music from around the world. Unequivocally the most globally embraced genre, dance and electronic music bring together cultures and people to create amazing shared experiences and lifelong memories. From late night bedroom listening to legendary club nights to the festival stages that draw crowds larger than some entire cities, Big Beat Ignition will showcase this world while celebrating and highlighting some of our favorite music creators, from the up-and-coming to the established. If Chicago is where House music was born, you could say Detroit is where it was raised, or at least a very important stop along the way. Influenced by European electronica, Japanese synthpop, Disco, and even Hip Hop and pioneered by legends such as Juan Atkins, Derrick May, and Kevin Saunderson, Detroit “Techno”, as it became known, was a staple of early DJ and club culture. 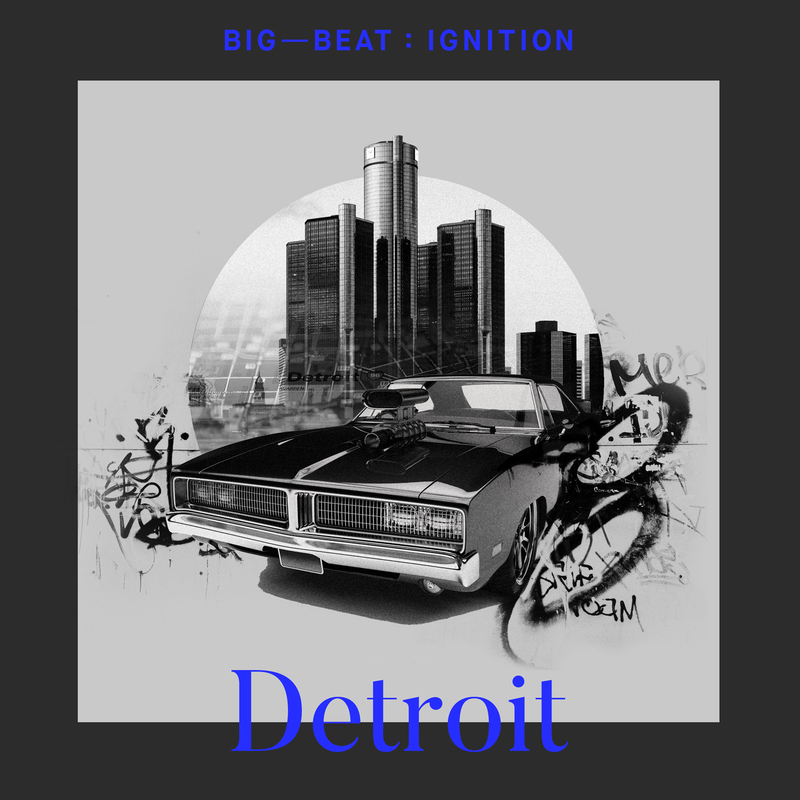 As the sound has evolved, we tried to capture the spirit of the Motor City with loads of tech, house, and techno vibes in the latest of our “Big Beat: Ignition” series paying homage to influential clubbing destination cities around the globe.